Several years ago, a post in a chat room said, "In the future, popular music will be made by robots, and the kids won't be able to tell the difference." You may be surprised to learn that this has already happened. We spoke to Thomas D. Mottola, former Chairman and CEO of Sony Music Entertainment Inc. He told us that robots and computers making music had already been done. "We first used machines to make the hits in the late eighties," The singers you did not see who really recorded the Milli Vanilli album, as well as New Kids On The Block, were actually robots. Those were just the first generation of Robomuze technology, which is sweeping the music industry. 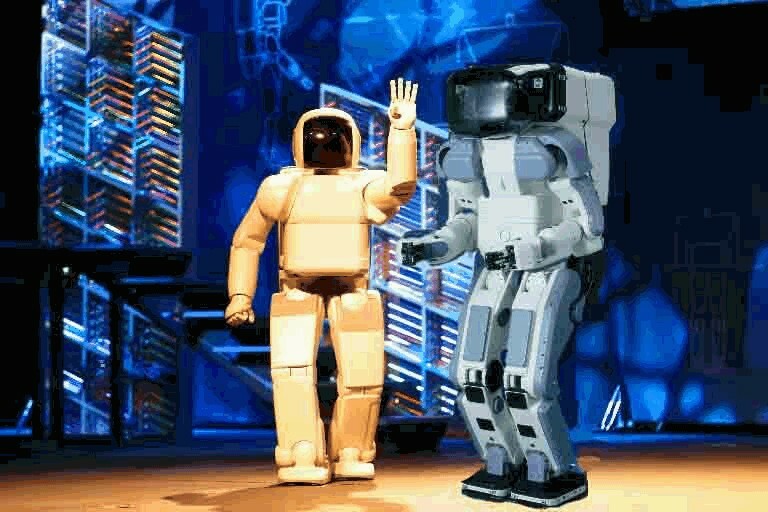 By the second generation, a highly sophisticated computer algorithm was composing hit after hit, and robots were performing them. We just plug in a few variables like current fads and slang terms, and out come songs! We still have to use attractive looking human models to dance and lip-sync the words, but everything you hear is artificial, and we are working on lifelike robots that can actually take the stage! Soon boy bands will be replaced by bot bands." 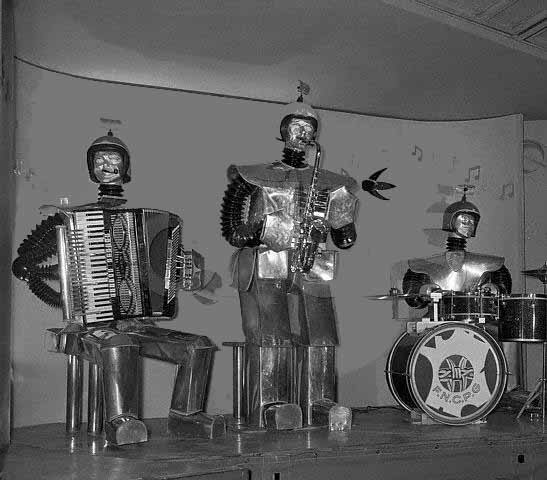 Mottola went on to tell us that he had been thinking about robotic musicians since the 1950s, when a display appeared in Gimbel's Department store. "Tin men were playing musical instruments. I cannot remember what they were promoting, but it was really neat!" If it weren't for that display I might have never pursued electronic music. The idea of using robots and computers instead of people wouldn't have occurred to me. I imagine that those robots in the window inspired a lot of people. They were brilliant!" It is not just teen pop making use of these technologies. Heavy Metal titans Metallica used them to produce their latest album, St. Anger. We spoke to Lars Ulrich about the new album. "It's a very challenging record," he told us, "which was constructed by a computer program and features no guitar solos." While many are high on this technology, I don't like it. I have listened to much of the music which I have learned is machine made. It sounds, well, mechanical. It has an irritating monotony to it, which lacks anything resembling creativity or imagination. Making music is an art, not a science. A computer would never be able to compose like Mozart or Beethoven. All the same, I realize that I am not the demographic the record labels are targeting. Teen pop is a business, not an art form. The kids keep buying CDs of this stuff, and downloading it from the internet. When people say that technology is taking away artists' livelihoods, is this what they mean? I hope that kids turn out to have better taste than the industry is giving them credit for.